The developers behind what would be the tallest tower in Austin said they could break ground on their 66-story skyscraper as early as this fall. The ambitious mixed-use project at 600 Guadalupe St. would stack two towers on top of one another, surpassing the tallest downtown skyscraper, The Independent, by eight stories. 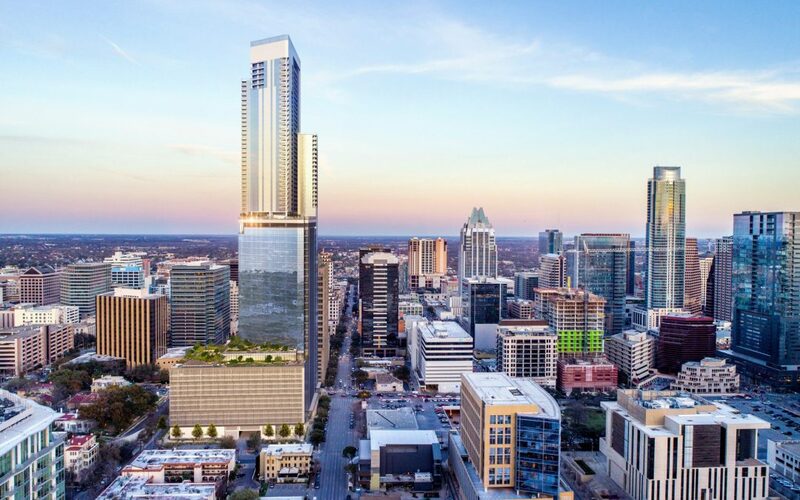 The design of the building at 600 Guadalupe could have as much of an impact on the Austin skyline as The Independent, aka the Jenga tower, and the Frost Bank Tower, developers said.